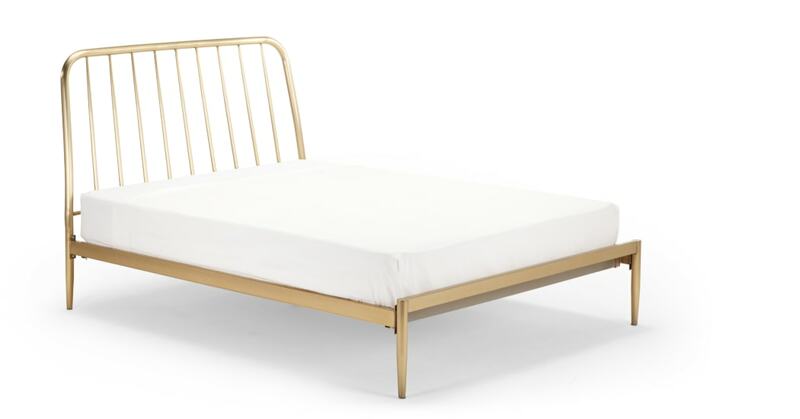 Brass is the trend everyone’s talking about, and with a bed like Alana, you can see why. Catch your breath – this one’s definitely a showstopper. The frame’s slender profile and subtle glow add drama without dominating the room. A perfectly balanced design for someone with impeccable taste. The most pleasant surprise is its good value - a humble price considering it’s such a design-led piece. The tapered spindles and legs are a thoughtful touch, too.